I carried one of these for years in the Aussie Army Gil...a fantastic rifle, much loved by the troopies. I still have my new (only used on parades) parade bayonet (with scabbard and frog) and magazine for this rifle. I spray painted them in flat black enamel, although had to go over that in gloss to satisfy one snooty Warrant Officer, and blued the blade of the bayonet. It looks fantastic. Hang in there Ron...good things come to those who wait mate. Good choice of scope too...I think you will be happy. Because of their stuff up, I hope the Manager of EastArms throws in a little extra something for you mate. Do you already have the scope ordered? Prices are excellent for what you get, all the reviews I've read are outstanding, and their warranty may be the best in the business. You break it, they send you a new one. No questions asked. I've looked through their Mod 5 Gen2 and Mod 7 and was thoroughly impressed with the glass. No I don't and THANKS for for the tip. 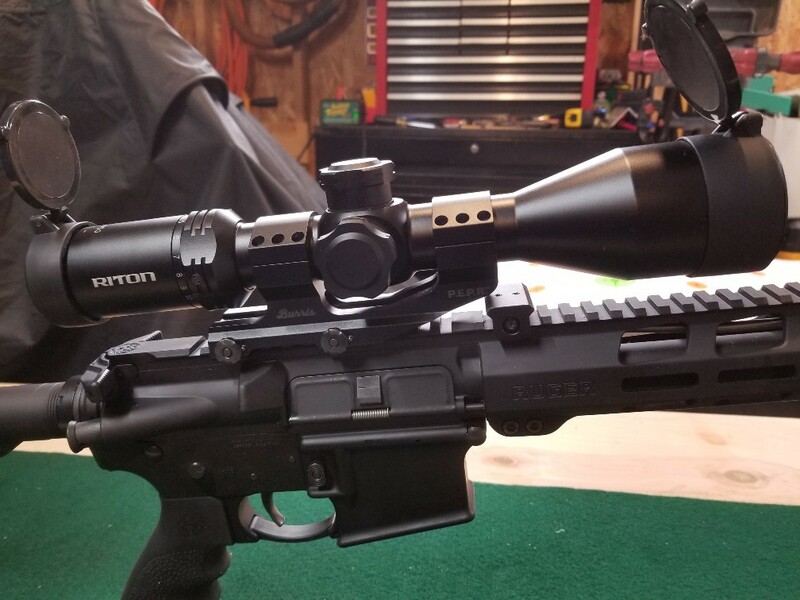 I am thinking of the RT-S MOD 5 GEN2 6-24X50IR-FFP and I also like the scope you ordered. Old habits being what they are I really gravitate towards the external adjustable. The army ruined me AHHHHH. And I don't know why I do gravitate towards that style being as I am fairly handy at estimating holdover and windage with a regular reticle scope and not even the mil/moa dot. Decisions decisions! Thanks again mate. That's a lot of scope with plenty of features for the money. I almost bought one, but it's probably more scope then I need. Isn't it always! But like I said old habits die hard. I still use a Bushnell 10x40 mil dot on one of my 22-250s and on my 788- 308 rifle. They are great and the updated version is higher priced and without much improvement. 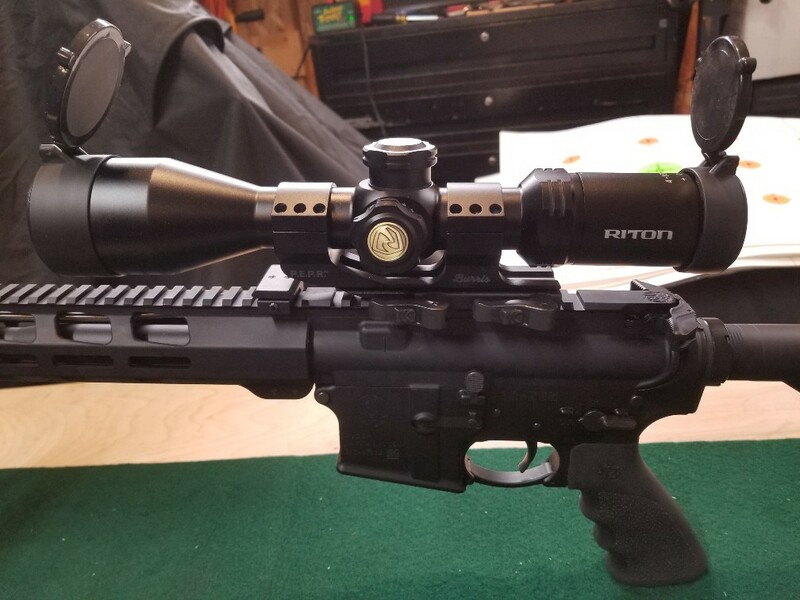 I picked up my new scope this morning, and got it mounted in a Burris QD mount tonight. I'm still not completely sold on the QD type mounts, but we'll see how this one works out. I didn't realize that the Burris mounts are imported from China until I noticed a tiny little sticker on it while fitting it to the rail. As mentioned previously, the glass on this scope is impressive. The plan is to get back to the range tomorrow to get it dialed it. That looks really good Joe. I called rikon and they don't have a rep in Canada sooooo, I emailed the owner of eastarms, Tre and gave him a heads up. I got a reply from Tre and he is going to look into the company. I thought that burris was made in the usa. Go figure. I have found quite a few Canadian manufacturers in my search for bits and pieces. I have another question for all those ar 308 guys and gals out there on what kind of loads are they using the the large ar platform??? I just ordered Sierra - Tipped MatchKing 168 Grain Polymer Tip 500/Box. I have beaucoup casings and powder and primers. So I just need some guidance on some loads that are working good. I have the sierra manual also. Bushy has his dialled in very nicely mate. Touch base with him. Looking forward to seeing those untouched targets with holes in them. Have fun with the recoil therapy, hunterjoe! 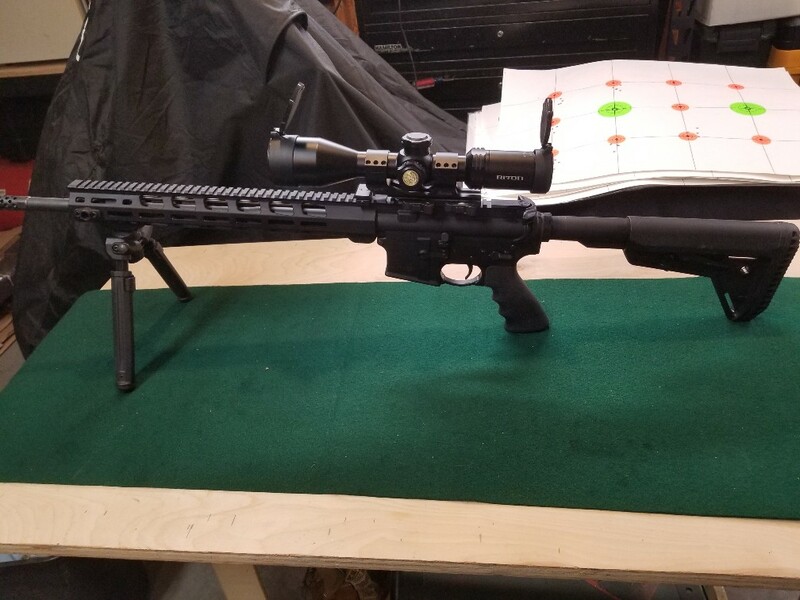 Bought a Vortex Diamondback Tactical 4-16x44 moa It looked so much better than any of the other dozen or so scopes that I looked at yesterday including some that went north of 2500.00 $ I didn't look at price tags and my mate looked at them with me and I didn't look at boxes or any other info on them we just looked through them put them through there paces and I settled on this model of vortex. I said what ever top two scopes would be the finalists and I was happily surprises with 400.00$ Can't believe it, I was lucky and very happy. Congrats, ITD! Looking forward to your down-range results. Good choice. I believe they have a pretty good warranty too. Good selection mate...the Vortex range of scopes has a very good name and reputation out here in the DownUnder Australia. You have KNOWLEDGE that Vince says I need.